What Is CBD Water And Where Can I Buy It? | Are CBD Products Legal? CBD water is bottled water infused with cannabidiols (CBD). CBD are chemical compounds that naturally occur in marijuana. They are non-psychoactive and do not cause the “high” feeling. CBD is linked to many health benefits, including relieving anxiety, stress, muscle inflammation, nausea and in helping with pain management. While the therapeutic properties are plentiful, CBD remains caught up in the same legal issues as “regular” cannabis that contains THC. THC is the psychoactive chemical in marijuana. To create CBD water, CBD chemical compounds are broken down into nanoparticles. That allows CBD to become distributed throughout the water, which helps CBD to penetrate easier into the digestive system and bloodstream. This process also allows CBD to retain maximum strength and effectiveness. Research is ongoing, but many have touted CBD’s therapeutic properties. However, access to CBD products depends on where you live in the United States. As with all issues involving marijuana, the legal status is complex. Laws on CBD can vary widely from state to state and even city to city. The reason why is that marijuana remains illegal at the federal level. Many states have legalized cannabis for recreational use. Even more have legalized it for medical use. However, laws on CBD are often different, even in these states. Also, by federal law CBD products are only legal if derived from hemp. Further, the law specifically defines hemp as legal if it is grown under a state pilot or academic research program, according to Forbes. So, that’s another issue consumers must keep in mind. Many believe that if a state has made recreational marijuana legal, then most CBD-related activities, including growing hemp to extract CBD, are also legal. But that’s not the case. For example, you cannot grow hemp without a special state license in Massachusetts. The bottom line is this: research the laws in your area before growing plants for CBD or purchasing products such as CBD water. Where Can You Buy CBD Water? CBD water and other products are available from dispensaries in states where they are legal. 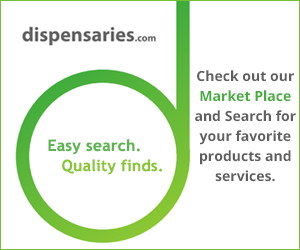 You can also shop for water and other CBD products, as well as connect with merchants who specialize in CBD, through an online marketplace. It’s important to stick with reputable websites and companies when shopping for CBD water. The benefits for getting CBD water are plentiful. You could reduce aches after a workout, sleep better or manage chronic pain. Those benefits are worth the investment of researching the local laws and doing a little shopping around.